Although the Earl of Seaforth raised the Seaforth Highlanders in 1778 as the 78th Regiment (Highland) Foot, it was not the first regiment to bear this number. That honour befell the 78th (Highland) Regiment Foot, known as Fraser's Highlanders; raised as the 63rd Foot in 1757 and renumbered in 1758. The Regiment served in North America during the Seven Years' War and fought in all major engagements. It was finally disbanded in 1763. Here follows a brief history in tribute to all those who served in and alongside the Seaforth Highlanders. I have been forty years in the service: I have been engaged in action about seven-and-twenty times; but in the whole of my career I have never seen any regiment behave better, nay more, I have never seen any one behave so well, as the 78th Highlanders this day. I am proud of you, and if ever I have the good luck to be made a major-general, the first thing I shall do, will be to go to the Duke of Cambridge and request that when my turn arrives for the colonelcy of a regiment, I may have the 78th Highlanders. And this, gentlemen, you hear from a man who is not in the habit of saying more than he means. I am not a Highlander, but I wish I was one"
Augmented by a second battalion, known as the Ross-shire Buffs, in 1794. Battalions combined at Cape, distinguished in Sir Arthur Wellesley's campaign against the Mahrattas gaining the Honour Assaye. 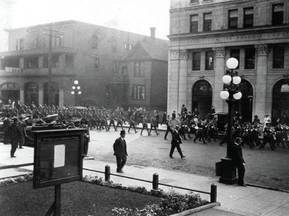 Many of the men of 2nd Battalion were sent to the 1st Battalion, while the reminder returned home to recruit. Re-titled The 72nd (Duke of Albany's Own Highlanders) and allowed to resume wearing highland dress such as the feather bonnet. However, instead of the kilt, it wore trews of Royal Stuart tartan. 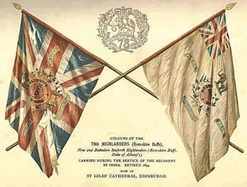 Both Regiments were amalgamated as the 1st and 2nd Battalions Seaforth Highlanders (Ross-shire Buffs, The Duke of Albany's). First World War - the Regiment expanded with both regular and territorial battalions supplemented with the raising of reserve and service battalions. Its 18 battalions fought in most theatres of operations and were awarded a further 76 Battle Honours and seven Victoria Crosses. The Regiment was expanded with the raising of further battalions. Between them they fought across the world in North Africa, Sicily, Italy, Burma and North-West Europe. The strength of Regular Army reduced with most line regiments, including The Seaforth Highlanders, becoming a single regular battalion regiment again with the amalgamation of the 1st and 2nd Battalions in 1948. The Regiment then took part in operations against the terrorists in Malaya before returning to Scotland. Then served in Egypt Aden Gibraltar and Munster, Germany.